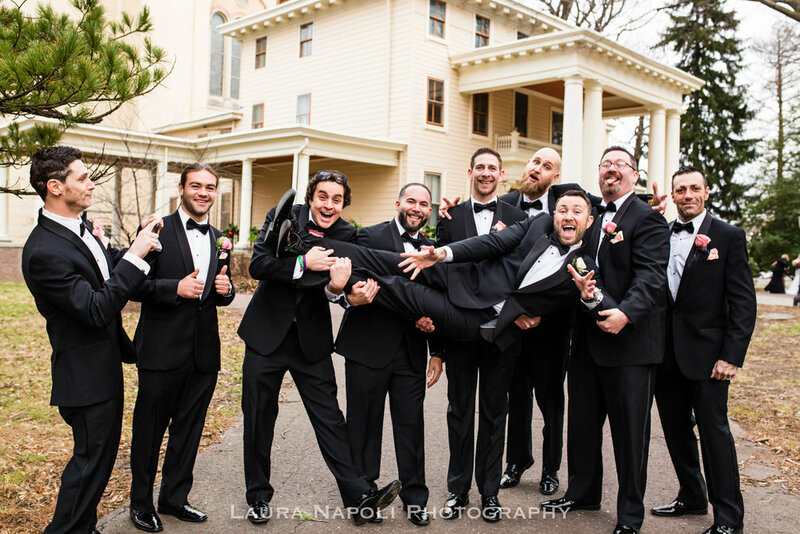 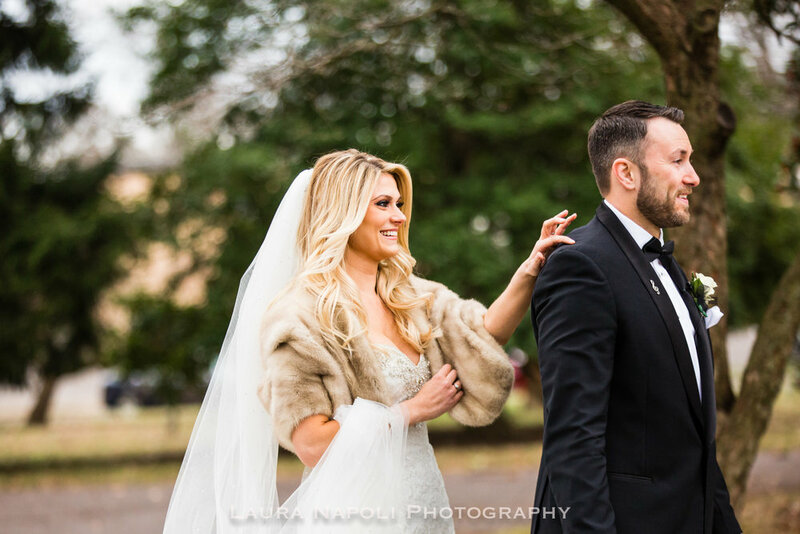 Dana and Mike had such a gorgeous wedding at the Collingswood Grand Ballroom in Collingswood, NJ! 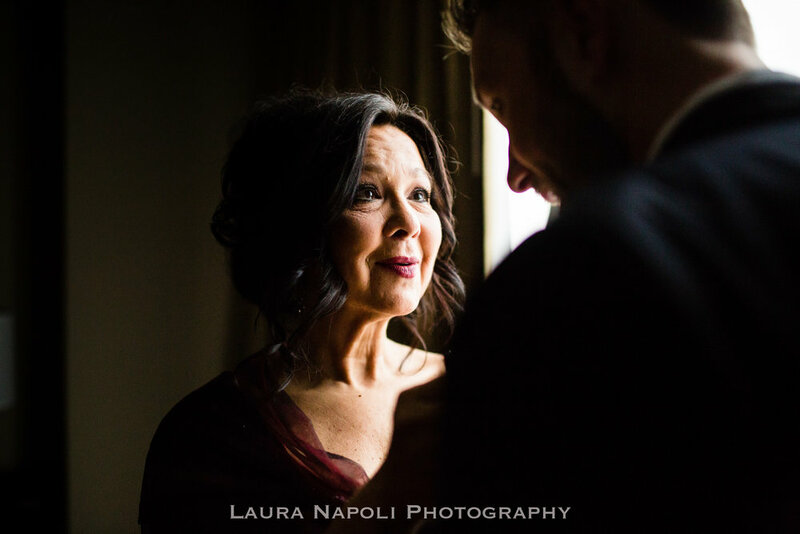 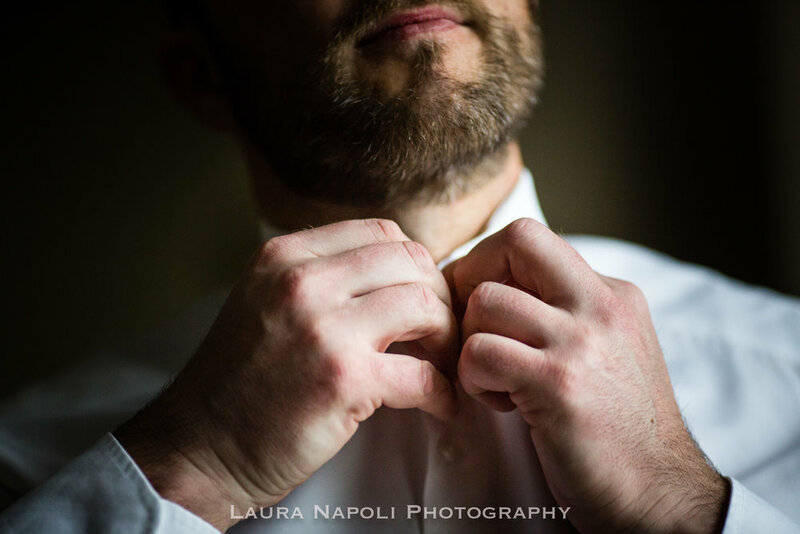 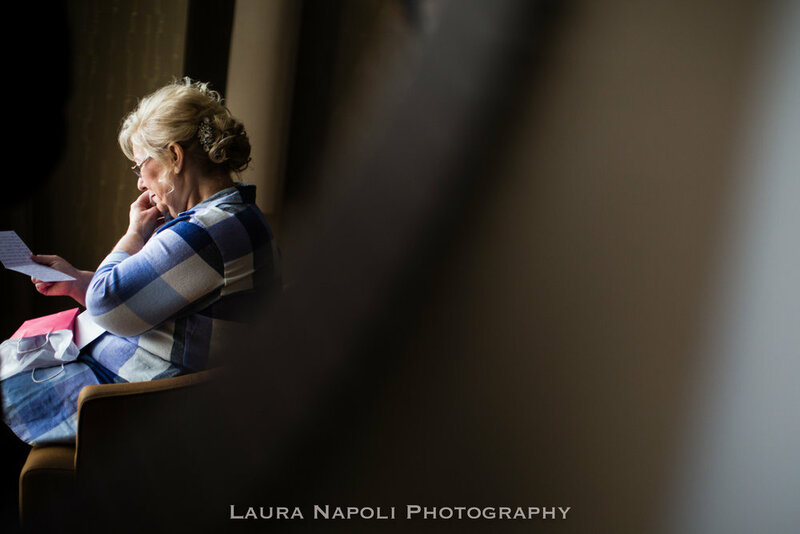 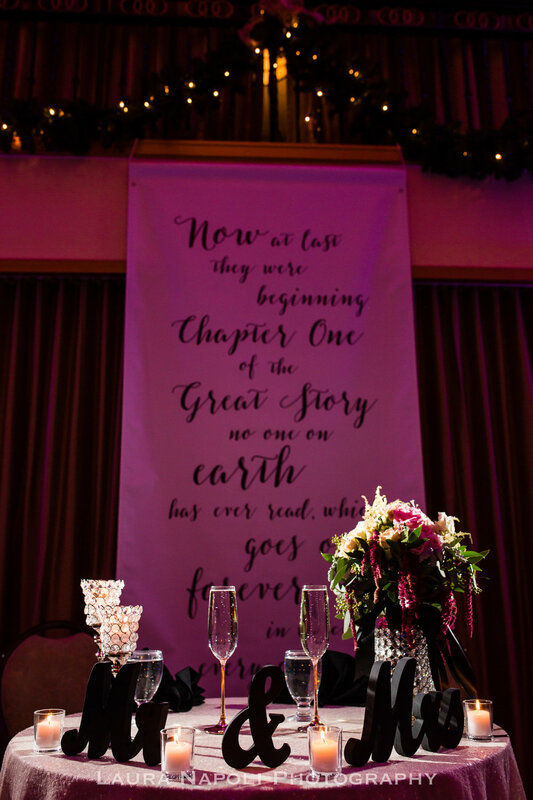 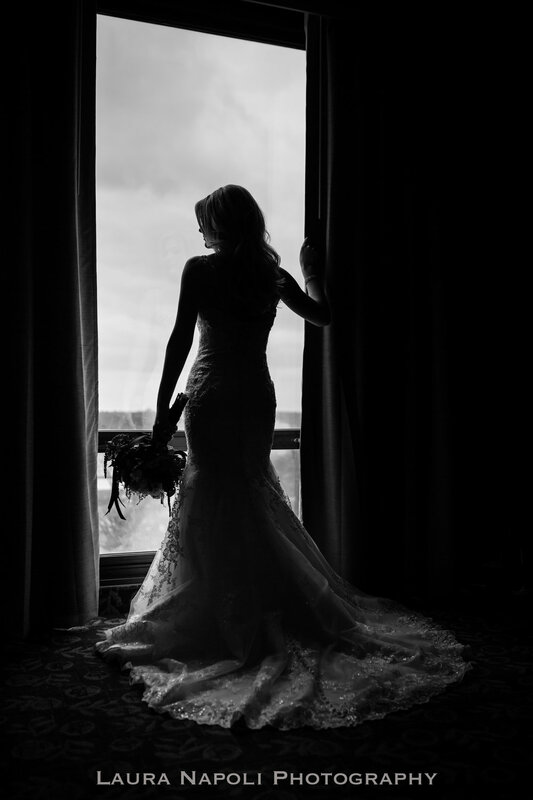 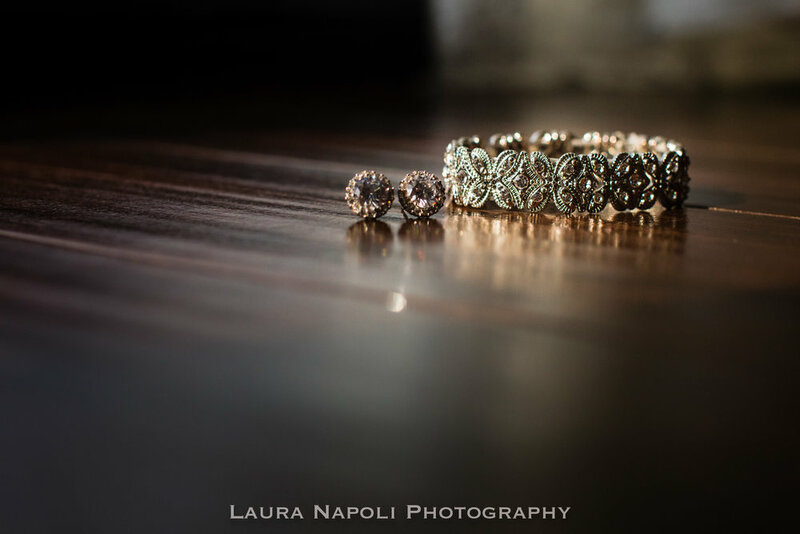 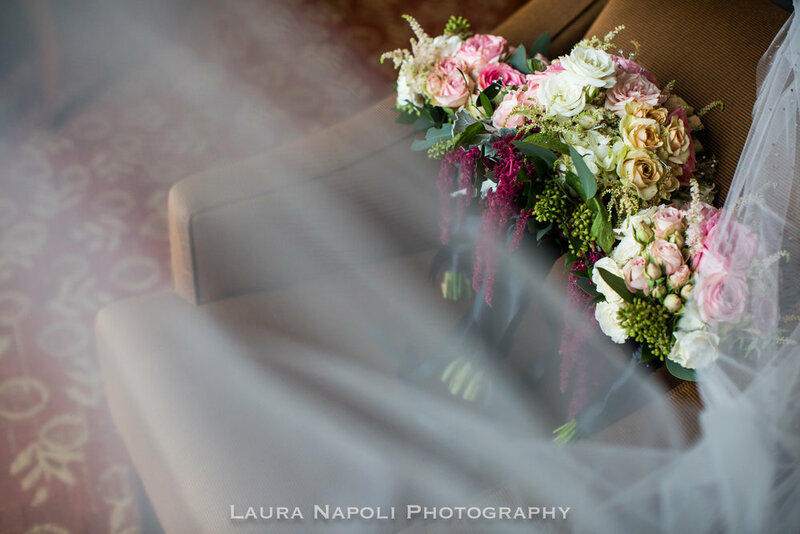 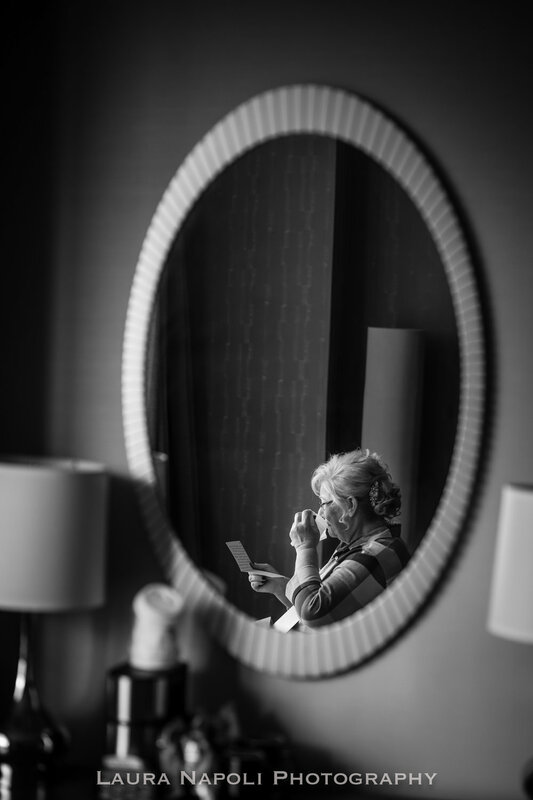 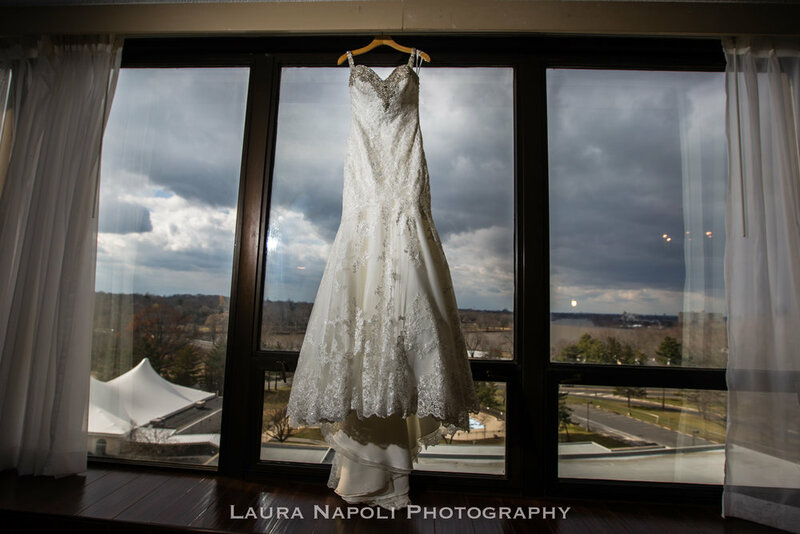 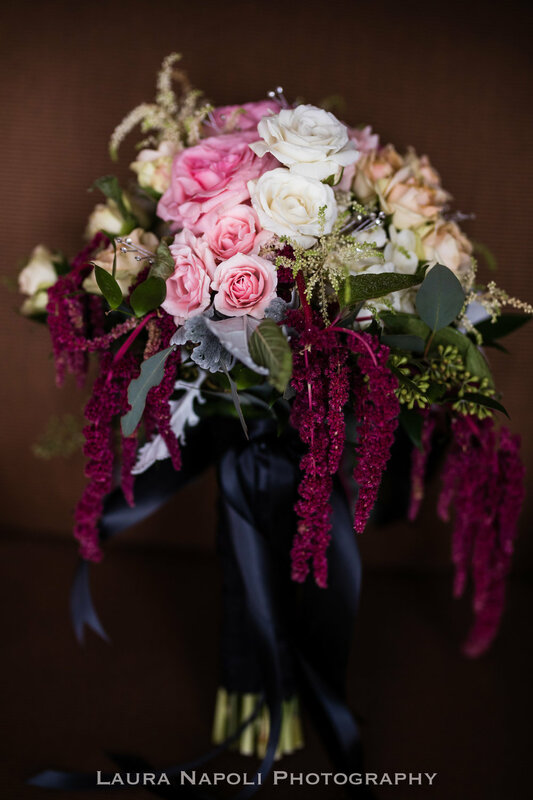 I absolutely loved all of their details, from the moment I walked into Danas getting ready room at the Crowne Plaza in Cherry Hill we were greeted by her gorgeous wedding gown hanging on the window sill. 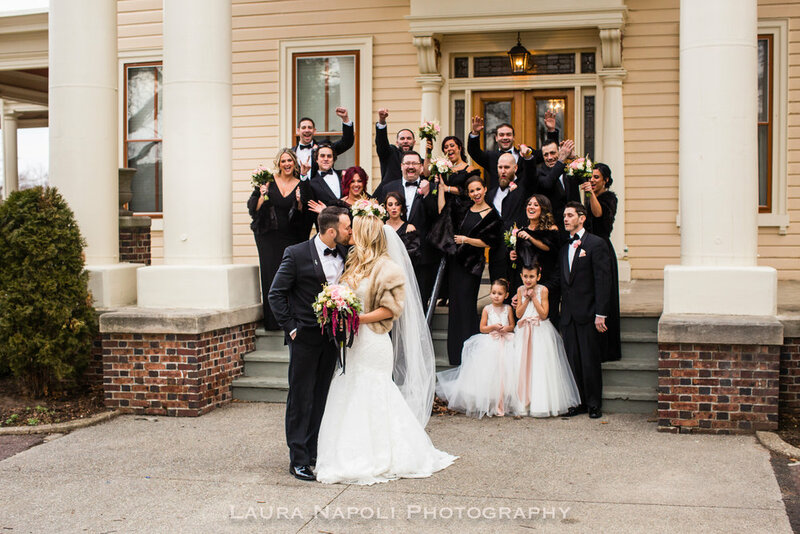 The bridesmaids wore elegant black dresses with their black fur shawls to match! 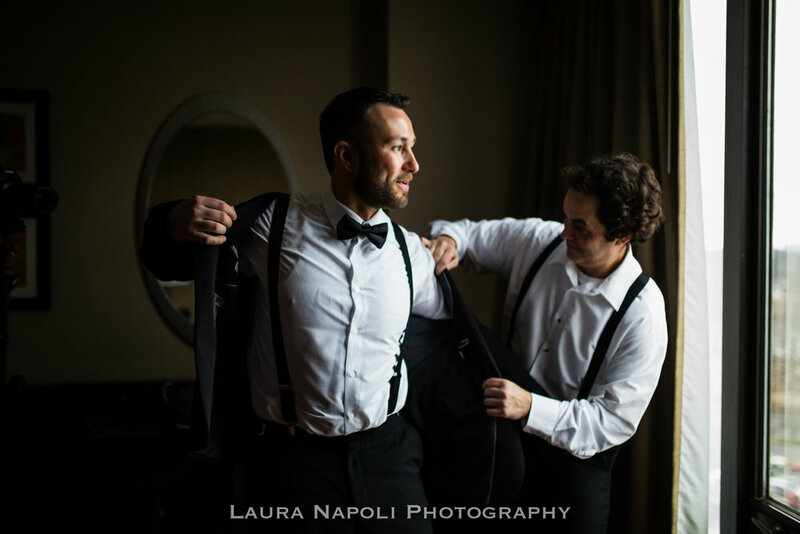 One of my favorite moments of their wedding day was their first look, Mike was so excited to see her! 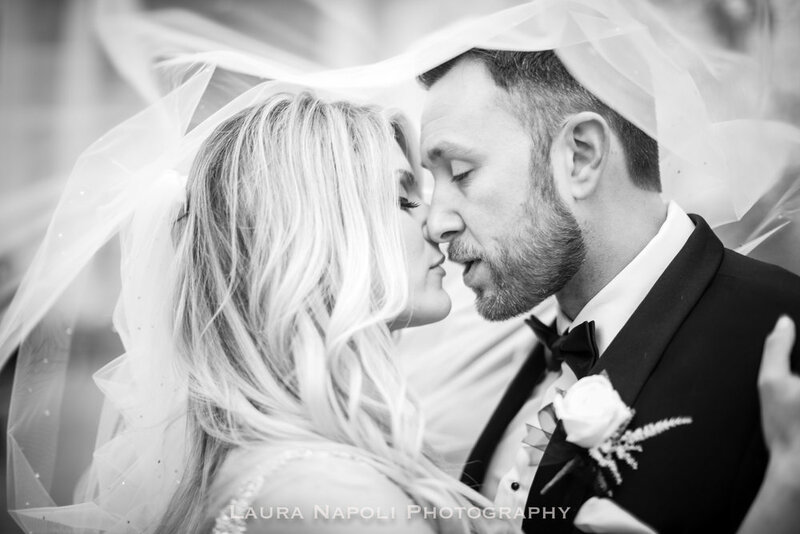 It was so amazing capturing their wedding day and getting to know such a wonderful couple!